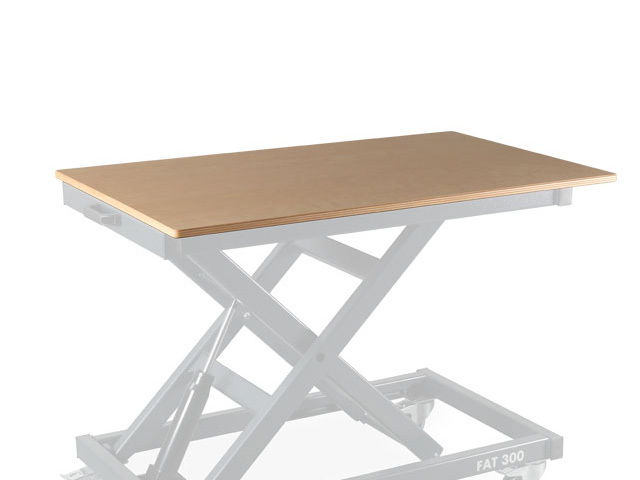 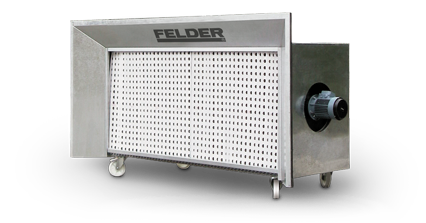 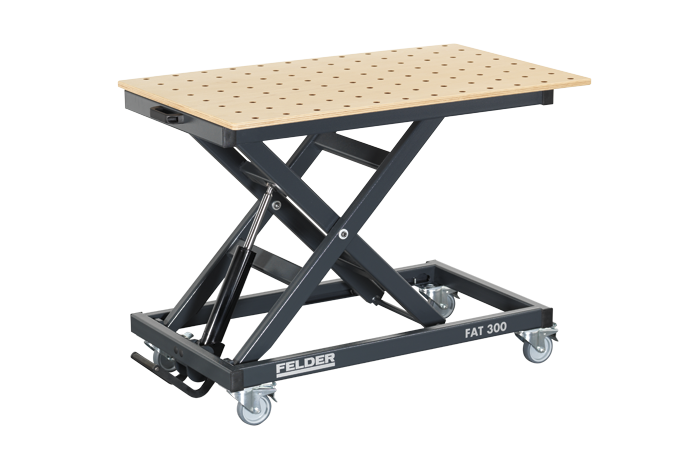 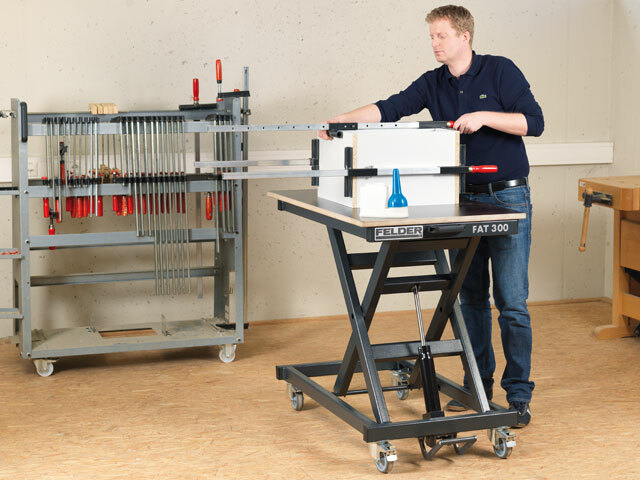 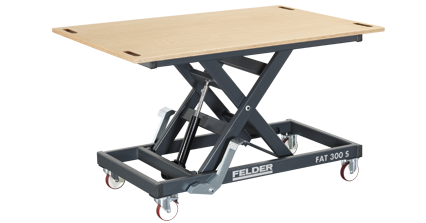 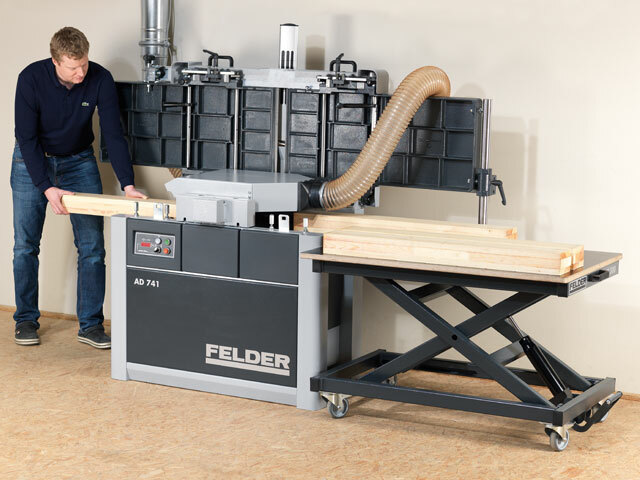 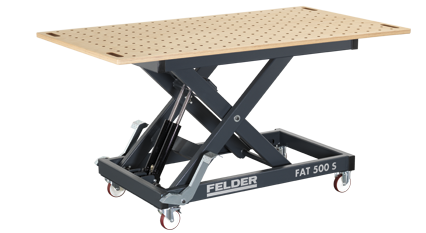 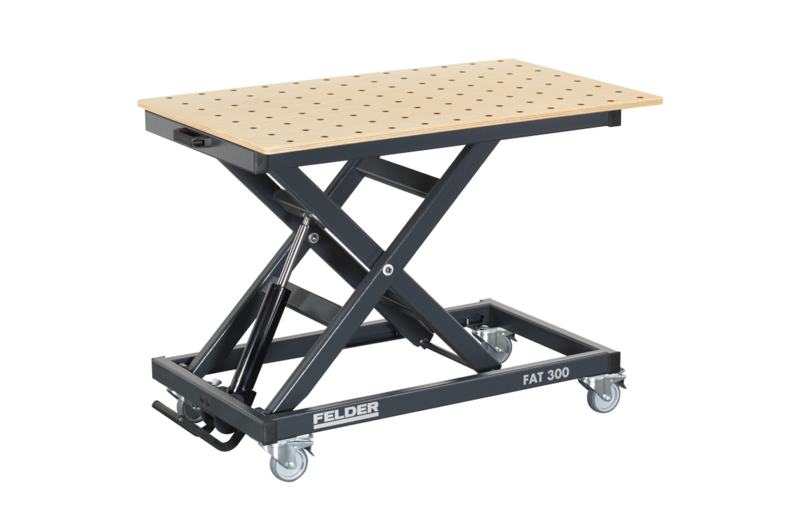 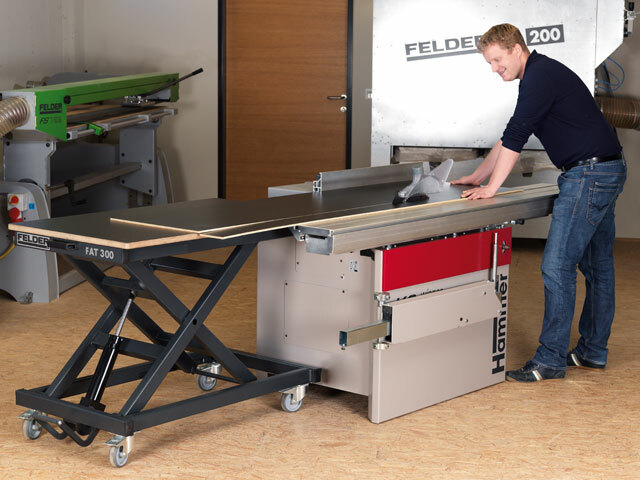 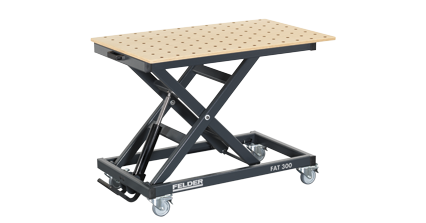 Machinery equipment vehicle, storage assistance, stacking cart or additional workspace – the Felder level lifting table FAT 300 is versatile and offers maximum stability and simple mobility at all times. 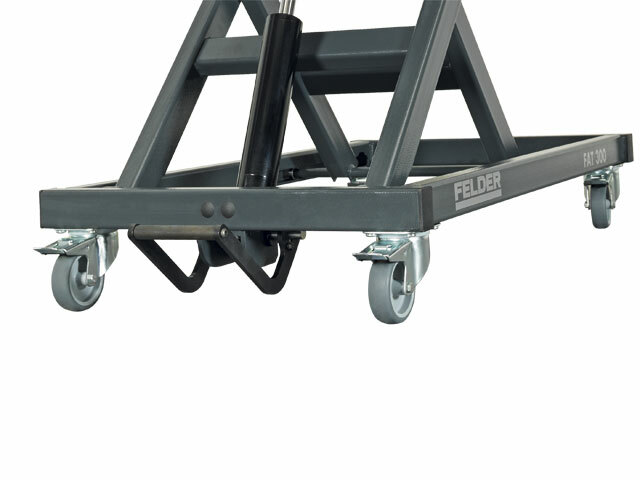 Using the easy to use foot pump hydraulics, you can set the working height quickly and easily, this saves time and your back! 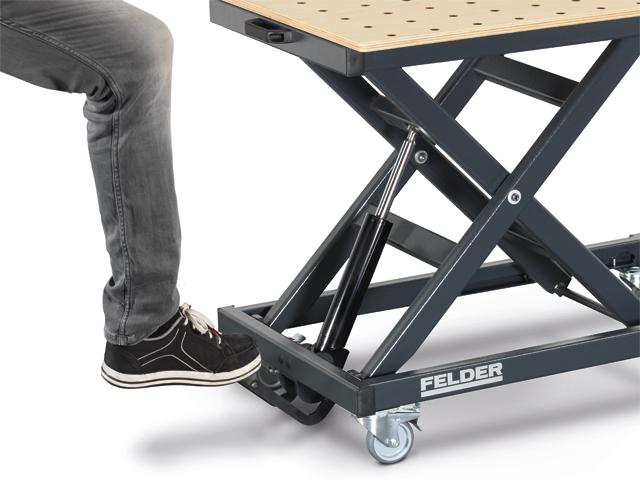 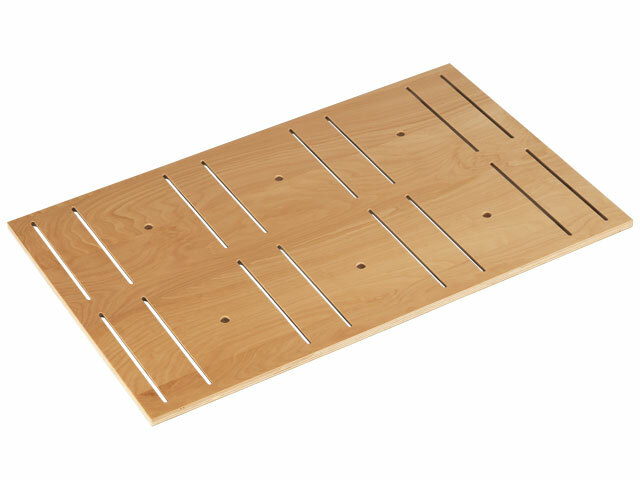 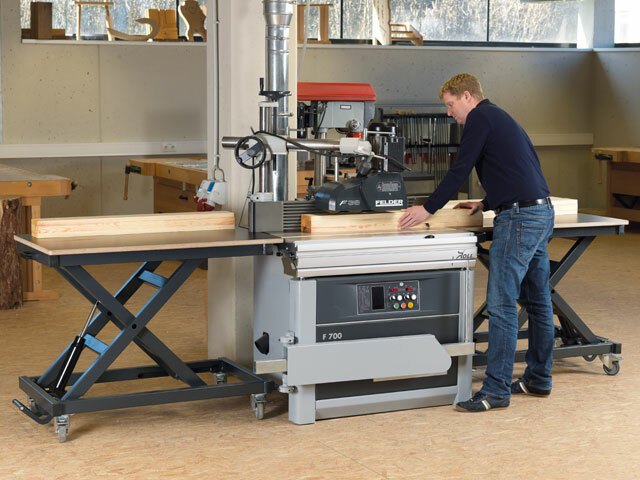 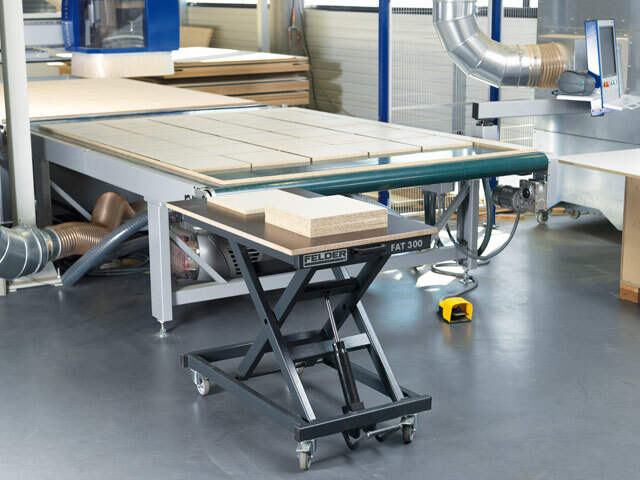 The solid and robust base frame ensures that the wheels have no problem running over uneven or dusty workshop floors.